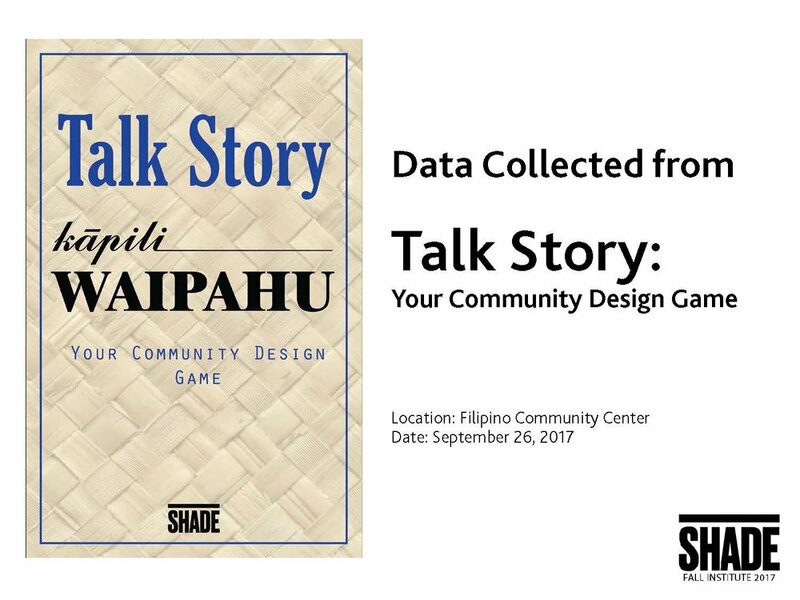 This fall, SHADE Institute organized a Community Design Workshop which took place on September 26th, 2017 at the Filipino Community Center (FILCOM) located in Waipahu Town. The intent of the event was to introduce SHADE as a community advocate and support towards the creation of a community-based plan for the town of Waipahu with the advent and presence of the new RAIL transit system. Teams answer 'Talk Story' game questions by writing on the cards and locating responses on the map. 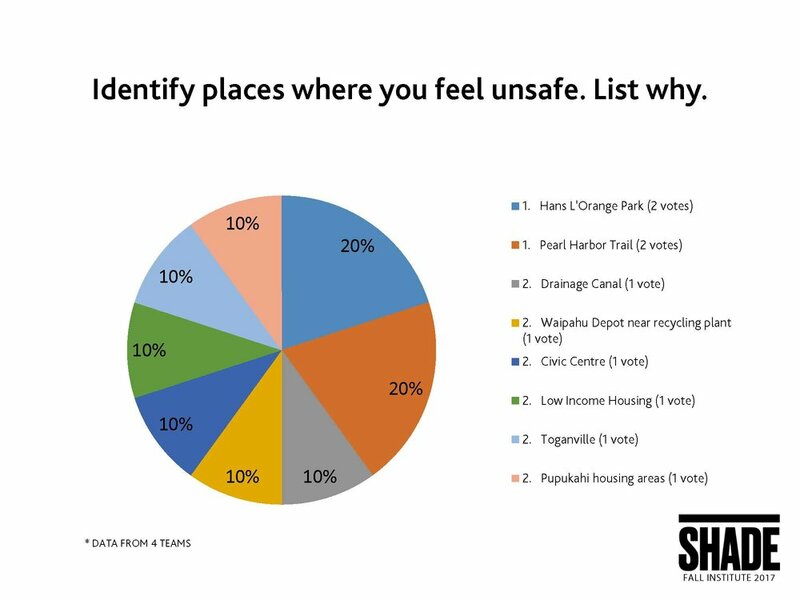 term goal of formulating a community based plan, a portion of the workshop was assigned to SHADE Institute Fellows to develop, fabricate and carry out an interactive community design game with the primary objective of gathering valuable place-specific information about Waipahu Town. The intent of the design of the game board was to be able to (1) play the game planned for this premier workshop event and (2) also act as a valuable tool for future information gathering, design and planning efforts. 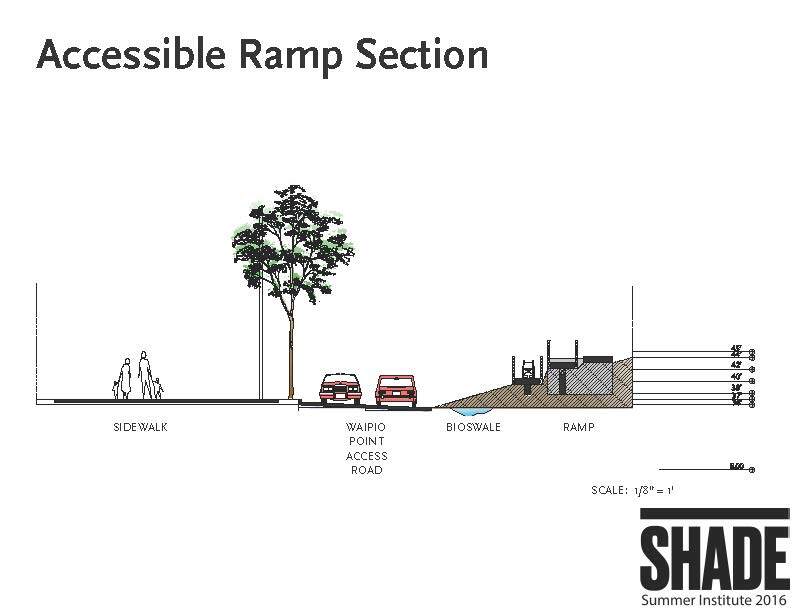 This summer, SHADE Institute focused their summer on redesigning and re-envisioning the community of Waipahu with Kapili Waipahu, which consisted of two project areas: the Celebrate Waipahu TOD Action Plan and the Waipio Point Access Road Accessible Pathway. In Hawaiian, the word kapili means "unite" or "put together". We strive to strengthen bonds within the community through planning and design. Provided by PBR Hawaii and Associates Inc. 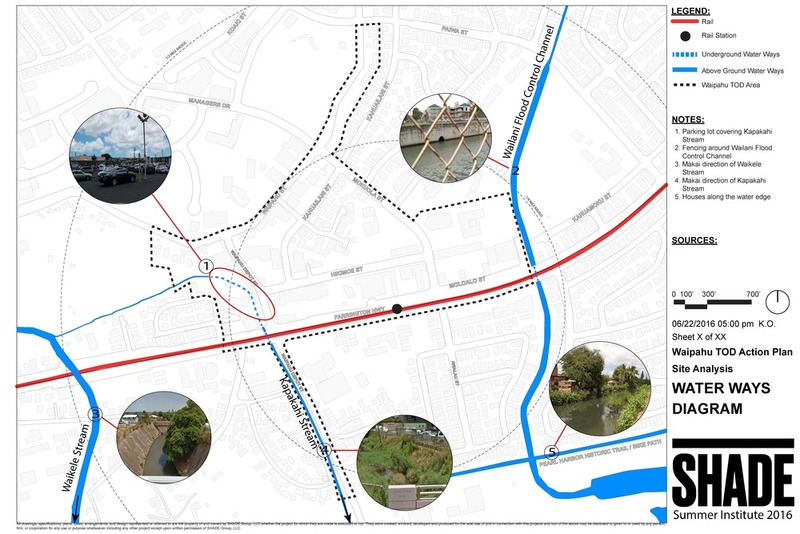 This summer, SHADE Institute partnered with PBR Hawaii and Associates Inc. and the City and County of Honolulu Department of Planning and Permitting to create a plan for the community of Waipahu in preparation for the rail. 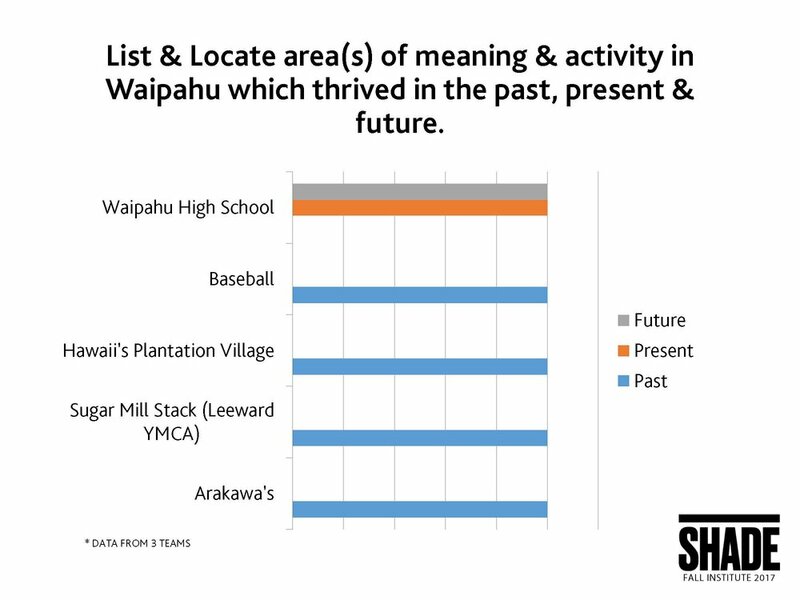 In the preliminary analysis, the summer interns spent some time analyzing and studying the various existing conditions of the Waipahu community. 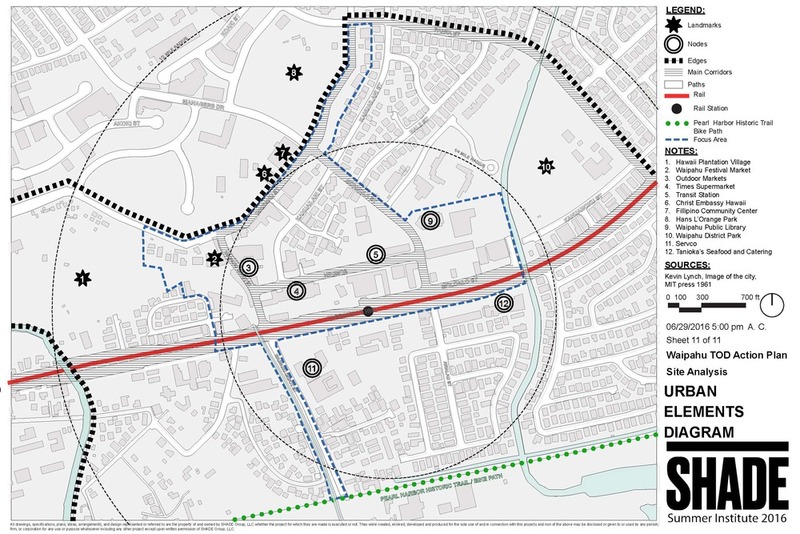 At this point, under the support and supervision of PBR and the DPP, the interns were able to justify and produce project areas for three different zones within the Waipahu TOD Action Plan. Zone 1 was a curation of facade improvements and the implementation of multi-use shared lanes for bike riders and pedestrians. The vision for this area was to have an interactive space for pedestrians to use. Zone 2 was comprised of the redevelopment and improvements along Waipahu Street and Hans L'Orange Park, as well as a connection strategy to Hawaii Plantation Village. 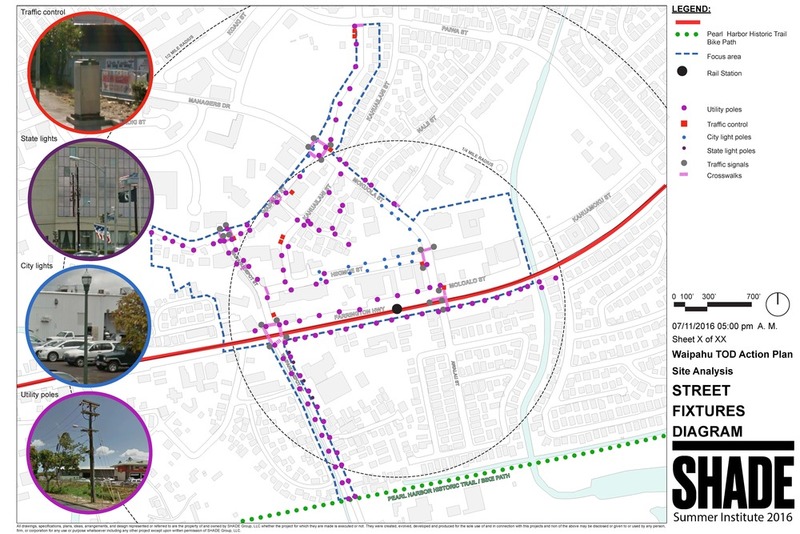 Zone 3 focused on the integration of shared-use lanes for pedestrian and bike activities with consideration to the connection of the OR&L Pearl Harbor Historic Trail pathway. Interns were tasked at integrating complete streets, landscaping and facade improvements for the businesses lining Waipahu Depot Street. When thinking about redesigning for humanity, it is important to consider everyone. 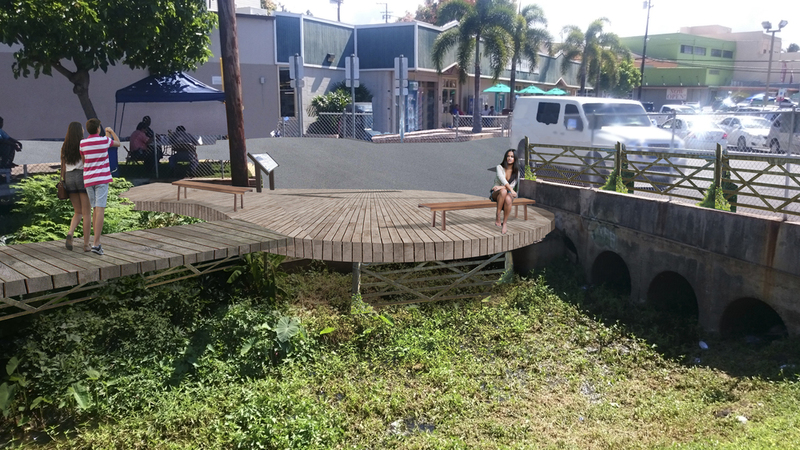 In this project, interns were tasked with designing a pathway that is accessible to not only pedestrians, but to bike riders and Waipahu Aloha Clubhouse members. The pathway starts across the streets of Farrington at the bus stop, and extends towards the Clubhouse. 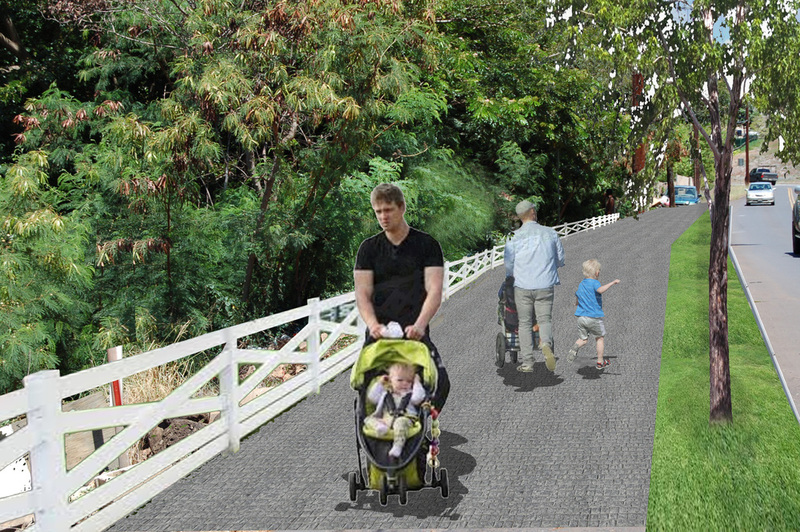 The long-term goal is to have the pathway connect to the Pearl Harbor Historic Trail, and eventually to the Waipio Peninsula Soccer Complex. Check out below to see the concepts and ideas behind the pathway.